Analyze 4K/UltraHD HDR video in real time with the AJA HDR Image Analyzerdeveloped with Colorfront HDR monitoring and analysis software. 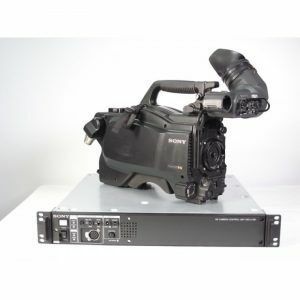 The 1 RU device provides four 3G-SDI inputs and four 3G-SDI outputs that support up to 4096 x 2160 4K and 3840 x 2160 UltraHD resolutions with high dynamic range, wide color gamut, and LOG color formats. 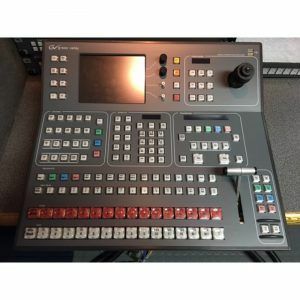 The Image Analyzer supports dynamic range inputs such as Rec.709, ST 2084, and HLG, and BT.2020 and BT.709 color gamuts common in live production, DIT workflow, broadcast monitoring, post production, and final mastering. 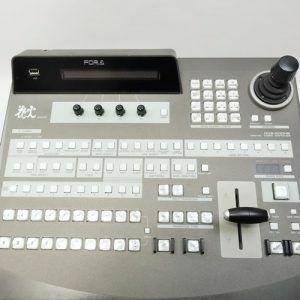 The software UI is accessed via DisplayPort and USB ports and gives you access to tools such as waveform, histogram, vectorscope, color gamut, error logging with timecode, brightness levels, data analysis, and advanced error detection. The Analyzer also supports up to 16 channels of audio for monitoring with level display. There’s an audio phase meter that can be configured for stereo or surround display, and it can provide level warnings in your logs. 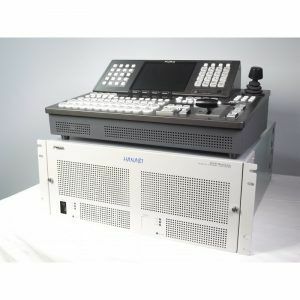 In addition to the eight 3G-SDI in/out ports, the unit also features a REF input and four DisplayPort connections for monitoring at up to 3840 x 2160 at 60p. Three USB 3.0 and two USB 2.0 ports provide keyboard and mouse control, as well as to plug in external drives for offloading log data or upgrading firmware. The unit also features two redundant 110 VAC power supplies and comes with two power cables. 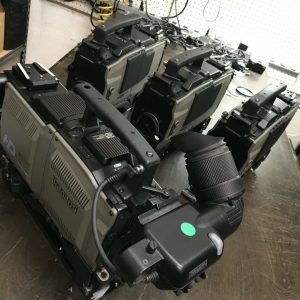 Provides direct input for a range of camera LOG inputs, allowing direct connections from various camera brands and immediate analysis of production feeds.  Address your video resolution setup needs with quick access from the Video Resolution menu, with easy access for RGB, YCbCR, and Quad split vs. 2SI configurations. 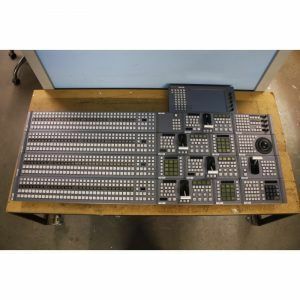 Setups can be saved and recalled for quick configuration when moving between projects and tool configurations. Scenes can be captured for quick recall and saving to be shared with others for a great visual representation of any issues that need to be addressed. Several different color spaces can be utilized for analysis including 709, P3, XYZ, and 2020, as well as camera native color spaces. HDR Image Analyzer also offers an Auto HDR mode change for automatic HDR color space triggering when possible. Offers a range of views for waveform representations including Waveform Lumi Color. Waveform Lumi Color offers a gorgeous combination of both luminance and colors in the project’s color space. Vectorscope displays the color saturation of each pixel in the video frame, with the middle of the circle indicating a lower saturation level, and the edge of the circle indicating a higher saturation level. The vectorscope additionally offers a zoom feature and a skin tone line, whose value can be manually set as desired, especially useful for ensuring consistent skin tone results for sequence work and camera matching. HDR Image Analyzer allows you to set a white point relevant for the project at hand. Choose between DCI, D65, or simply turn it off. 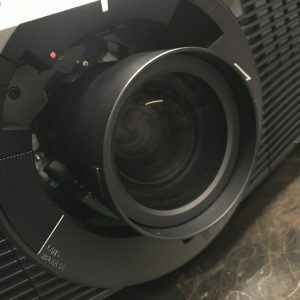 Glide your mouse across your footage and use the Pixel Picker to give you a read out of the exact pixels cd/m2 level, Hex, or Decimal code values. Detect P3 gamut violations and brightness violations in HDR events and logs them with time stamps in a log file and on screen. Log files can then be collected for sharing with your team as necessary. An audio level meter is included for up to 16 channels of metered monitoring and display of peak dB levels. An audio phase meter can also be configured to display either 2-channel (stereo) or 8-channel (surround) audio. Audio level warnings may be set to generate notes into your logs. 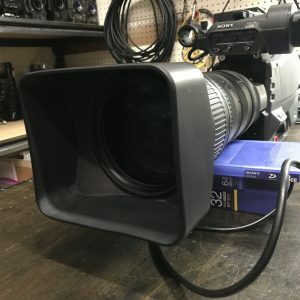 Analyzer Gain allows you to increase or decrease the gain put out to your display, simplifying your ability to monitor critical items with dark footage in particular.